Martin Scorsese is only good at making one kind of movie… Gangster movies. I know this is a bold, generalised statement but recently I have been hugely disappointed with Scorsese “classics.” I didn’t enjoy Raging Bull as much as I thought I would and thought Mean Streets was even worst. Taxi Driver is considered one of his most iconic and best films but I failed to find anything amazing about that film either. I do rate a lot of Scorsese films though. Goodfellas is an incredible movie and The Departed is one of my favourite films. 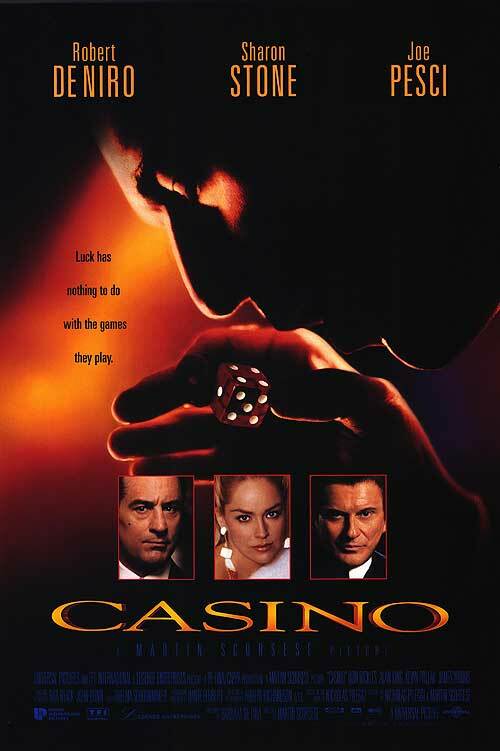 It seems like Scorsese produces his best films when they centered around gangsters and organised crime. I know this is a generalisation because there is a case to be made for Shutter Island or The Aviator, amongst others, but I rate his films about gangsters and crime above all others and Casino fits firmly in that category too.